My Cattery is in my home and is of the highest quality. 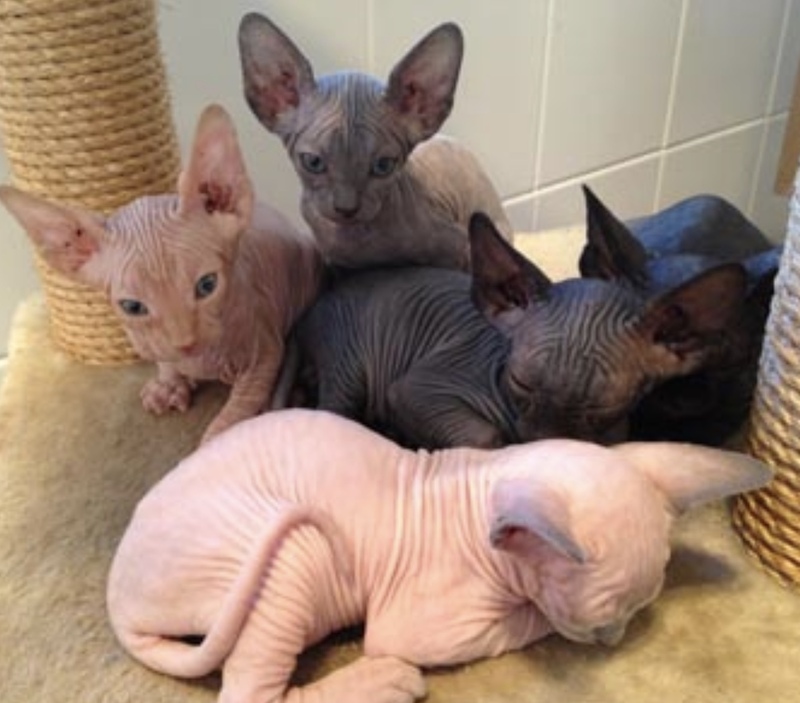 Health of my sphynx is my highest priority. All my cats are PCR swabbed, blood tested, DNA tested and HCM tested by a cardiologist annually. Each of my cats have their own folder with their results and pedigrees and available for viewing via appointment only in my cattery. I provide all my kittens with a contract from my solicitor stating a replacement kitten if HCM occurs within three yrs and includes many other guarantees. 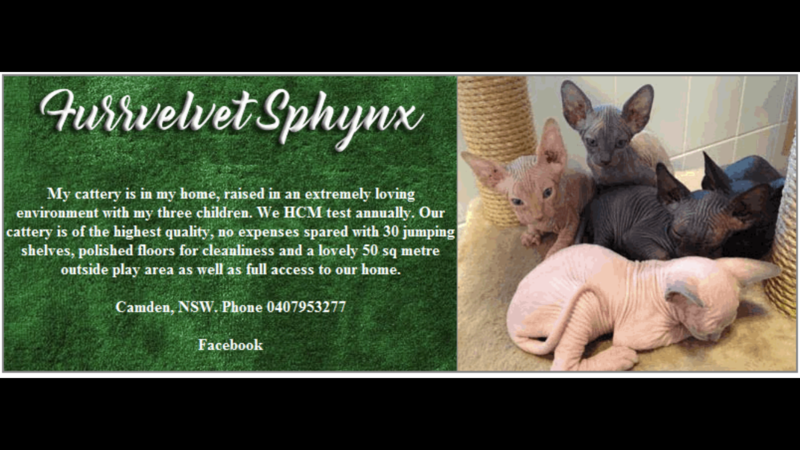 Once deposit is paid contract with deposit details are sent along with care instructions for a sphynx kitten to your postal address. Contract to be brought back on kitten pickup. My kittens are desexed, microchipped, wormed 3 times, vaccinated, vet checked, pedagree papered and are ready to leave for their new home at 12 weeks old. Kittens raised on human grade 3 star mince and royal kitten pouches/buscuits. Cat litter and cat trays can be provided at wholesale price with your kitten upon request. I have five Romanian imports that arrived September 2018 from a HCM testing cattery. My aim is to improve Australian lines and the health of this breed, and of course to make many families happy. My cattery design was done with my vets assistance to ensure the long term health of my cats. All pens have there own equipment to prevent cross contamination. My cattery has three outdoor play areas, plenty of jumping shelves, temperature control gas heating, temperature control cooling, sky lights, polished concrete flooring, social play area, kitten pens ect. They are also loved by and raised with my three children, who play with all my cat before and after school. I do have a waiting list, so call for details.